Very clean, very pleasant location which is quiet and only a short drive to the beach. Loved how close the cottage was to the centre of town, the set up of the cottage was perfect for us travelling with our toddler, and the privacy was great. Everything. Aircon works perfectly, loved the Australian native birds and free bird seed bringing them close to our balcony. The keys were left on the kitchen table when we checked in. It was quiet, very secluded bush setting. A little drive from the township of Lakes Entrance. The pool was good, wasn't much in the play ground. Games room consisted of pool table and table tennis table. It was so peaceful and quiet; it felt like we were the only people there. Just what we needed! The beds were comfortable and everything inside the cottage was clean. On site laundry was a bonus. Hosts were helpful and friendly. Very clean cottage with more than we expected to make us comfortable. The beds had electric blankets which came in handy as it was cold overnight. Lock in a great price for Lakes Entrance Country Cottages – rated 8.9 by recent guests! 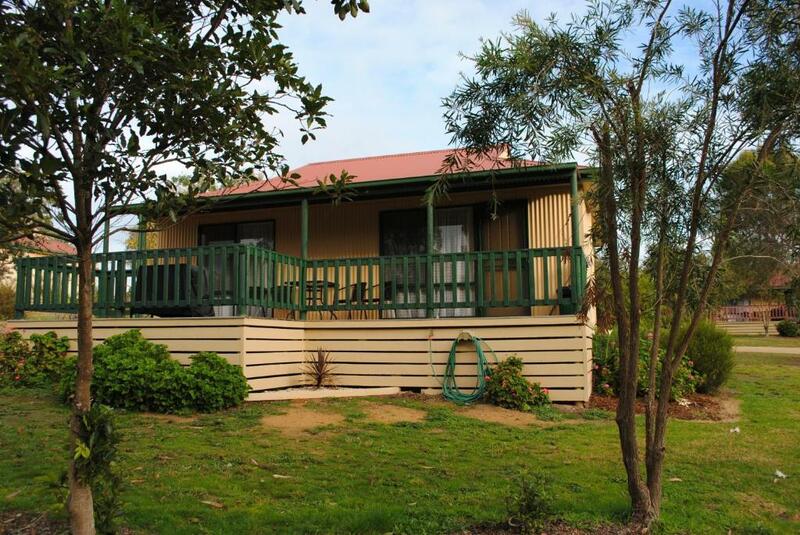 Lakes Entrance Country Cottages This rating is a reflection of how the property compares to the industry standard when it comes to price, facilities and services available. It's based on a self-evaluation by the property. Use this rating to help choose your stay! 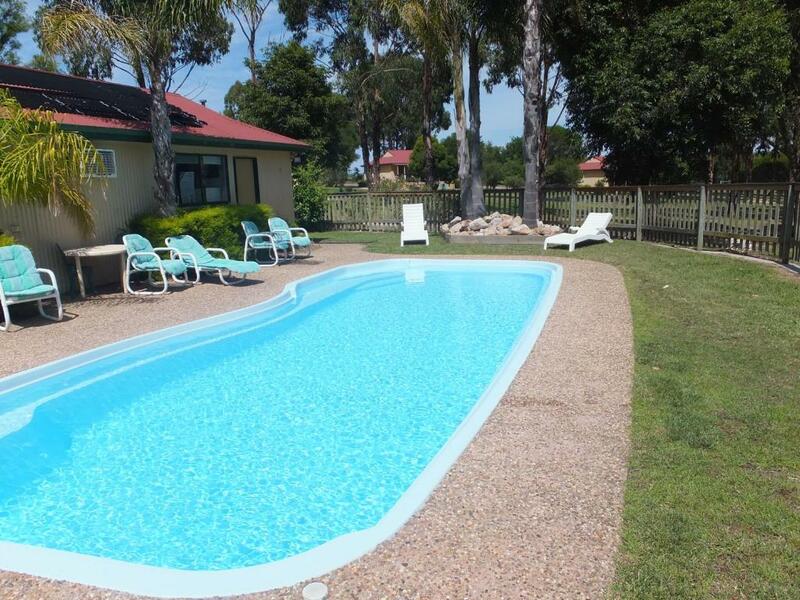 Offering a solar-heated pool, Lakes Entrance Country Cottages are set on 8.5 acres of native gardens. All cottages feature a balcony offering a BBQ and outdoor furniture. There is a children’s playground and free on-site parking. Country Cottages are located just 5 minutes’ drive from Lakes View Golf Course and 10 minutes’ drive from beaches, shops and restaurants at Lakes Entrance. Walking tracks begin 350 feet away in the Colquhoun State Forest. Each self-contained cottage offers a fully equipped kitchen and a living area with an LCD TV, DVD player and a stereo system with an iPod docking station. All cottages are air conditioned and have bed linen and towels supplied. Guests can relax by the pool or play a game in the games room which offers a billiards table and board games. Self-service laundry facilities are provided on site. When would you like to stay at Lakes Entrance Country Cottages? This air-conditioned cottage features a balcony with BBQ facilities and outdoor furniture. It also has a fully equipped kitchen and a lounge area with an 32 in digital LCD TV, a DVD player and a stereo system with an iPod docking station. All bed linen and towels are provided. This holiday home has a iPod dock, seating area and dining area. Just 6 km from the beaches at Lakes Entrance and 1.2 km from Great Lakes VI Airport This is the place to be, where you can relax in your private cottage in a rural setting. Modest 1- or 2-bedroom cottages. Main Bedroom has a queen bed the second bedroom has 2 single beds, some with roll outs. (all bed are fully made up including towels). All cottages come with full kitchens, flat-screen TVs, DVD players and iPod docks, and balconies with your own BBQ. Parking for cars and boats is complimentary. There's also an outdoor saltwater pool and a kids' playground, plus a game room and laundry facilities. House Rules Lakes Entrance Country Cottages takes special requests – add in the next step! Up to two additional older children or adults are charged AUD 25 per person per night when using existing beds. Lakes Entrance Country Cottages accepts these cards and reserves the right to temporarily hold an amount prior to arrival. Office hours are 09:00-17:00. If you expect to arrive outside reception opening hours, please inform Lakes Entrance Country Cottages in advance, using the contact details found on the booking confirmation. Please note that Lakes Entrance Country Cottages do not accept payments with American Express credit cards. Please inform Lakes Entrance Country Cottages of your expected arrival time in advance. You can use the Special Requests box when booking, or contact the property directly using the contact details in your confirmation. The pool was supposed to be heated, but wasn't. And wasn't clean. Outside decking well weathered. This means nail heads sticking up above decking catching bare footed people. The bird seed and the bird life. Beds were a little firm, but got used to them and enjoyed the sleep. The hot water went cold several times and we had to turn it off in the shower and then back on again and then it was okay. Even though there was a lot of trees/bushes around the buildings a good spray and clean up of spider webs was definitely needed. On arrival on a very warm day with 2 small children, it would have been nice to have had the air conditioner turned on. Walked into an extremely hot unit. Bedside lamp did not work. Bedroom 2 Needed a globe in bedroom 1. No battery in wall clock. Airconditioner not functioning properly when temperature was 27 degrees plus in cottage No. 2. Comfy Cottage. Nice pool. Good gaming room.